I spent quite a bit of time after climbing the Lincoln group searching for a good place to camp before going up Quandary Peak. 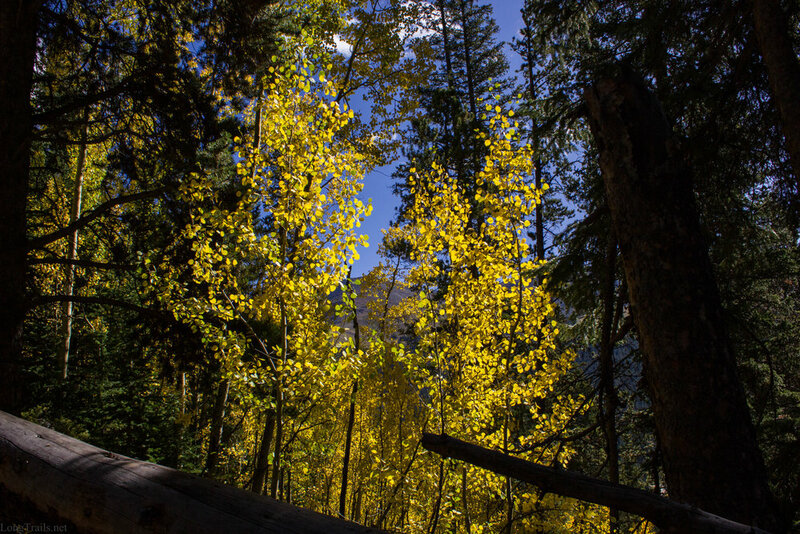 During the search, I found some beautiful places where the Aspen trees showed off their fall colors. My final resting place was at the Blue Lake Dam where I once again stayed in my car. All evening it rained with occasional lightening. 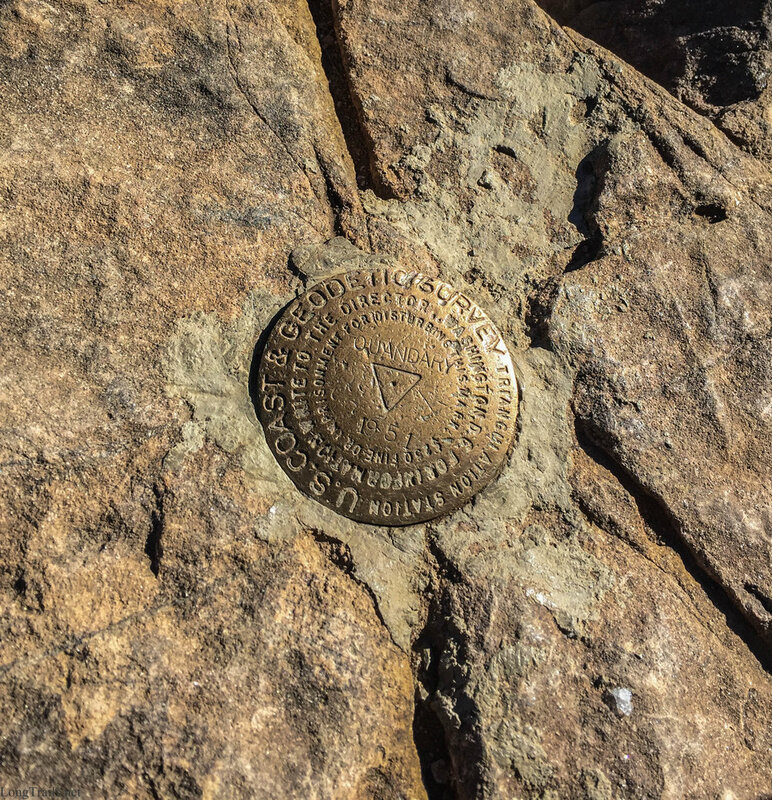 Quandary Peak is recognized as an easier 14er according to most reviews. Though I understand the standard route is not technical, it is quite physically demanding. Nearing the peak, there are many large boulders that require a high step which is tiring going up and hard on the knees going down. 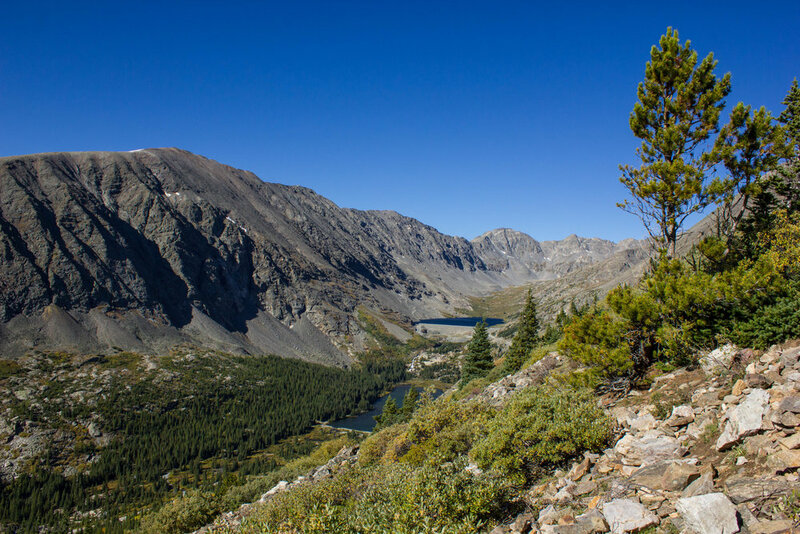 Due to it's close proximity to Breckenridge, Frisco, Silverthorn and the I-70 corridor, there are many hikers even on the weekday. It had snowed last night, which became apparent shortly after leaving tree line. I could look over at the Lincoln group and see snow line was well below the Summits. Around 13,000 feet, a light dusting littered the ground and the wind started to howl. Once again I used my trekking poles to remain somewhat on the trail while also looking for the path of least resistance. Snow, rocks and wind under a clear sunny sky - classic 14er.